Recentemente ho letto un libro molto interessante chiamato "Sua Eccellenza George Washington", di Joseph Ellis. Nonostante il titolo, il libro non è molto lusinghiero nei confronti di George Washington. In realtà, il libro potrebbe presentare semplicemente Washington in una luce realistica, il che per noi americani può sembrare offensivo solo perché Washington è così mitizzato qui. Ad ogni modo, una cosa di cui Ellis parla lungamente è il fatto che specialmente quando la Rivoluzione Americana stava finendo, George Washington si rese conto acutamente della sua stessa eredità. Cominciò a scrivere le lettere con la prospettiva che queste lettere sarebbero state viste e lette dalle generazioni a venire. Ogni gruppo con cui si associava, ogni amico che faceva, doveva essere visto nel contesto di come lui voleva essere visto dalle future generazioni. Aveva l'intuizione che sarebbe stato visto più come una leggenda che come un uomo perché le cose già stavano andando in questa direzione durante la sua vita, ma lui voleva assicurarsi che la sua eredità fosse impeccabile. Quando parliamo di social media, quanto importante è l'eredità nei nostri pensieri? Sebbene non sia necessariamente preoccupata di come le future generazioni mi vedranno, mi piace comunque fare del mio meglio. Quando le persone che non mi conoscono vedono le mie interazioni su Facebook e Twitter, spero non siano allontanate. Spero che la loro prima reazione non sia "Wow, che idiota" o "Accidenti, che maleducazione". Spero che la mia prima interazione con qualcuno non sia basata sul fatto che quella persona si senta offesa da qualcosa che ho detto. In effetti, spero e faccio sì che le prime interazioni siano sempre basate su sentimenti positivi. Non sono sicura che molte persone pensino a queste cose quando twittano e scrivono su Facebook, di questi tempi. C'è una tale pressione per rispondere per primi, rispondere rapidamente, essere un "esperto" e far evincere allo stesso tempo un senso di carisma e disponibilità. Come si può avere anche il tempo, nel costante flusso di dati e contenuti, per ponderare il modo in cui le persone ricevono i messaggi che stiamo buttando fuori? Ma penso che dobbiamo fermarci e considerare questo aspetto ogni tanto. Questo non significa che dobbiamo essere paralizzati dalla paura ogni volta che vogliamo dire qualcosa. E non è per dire che ogni tweet dovrebbe esser ragionato per venti minuti per immaginare come le persone potrebbero leggerlo fra tre anni. Ma vale la pena fermarsi ogni tanto e guardare la propria presenza online nella sua interezza. Come vi rispondono le persone? Come reagiscono a quel che state dicendo e quel che state facendo? Come verreste descritti dalle persone con cui interagite di più, se dovessero basarsi sulla vostra presenza sui social media? Certo, non abbiamo lo stesso tipo di pressione come George Washington (il che potrebbe essere un fatto positivo o negativo per voi). Ma la vostra reputazione è comunque importante. Come le persone vi vedono è comunque importante, specialmente se usate i social media come parte integrante del vostro lavoro. Vi siete mai fermati a considerare che cosa la vostra presenza online dice su di voi? Oppure come le persone interpretano i vostri tweet e status se vi conoscono solo attraverso quel medium? Mi piacerebbe sentire cosa ne pensate! 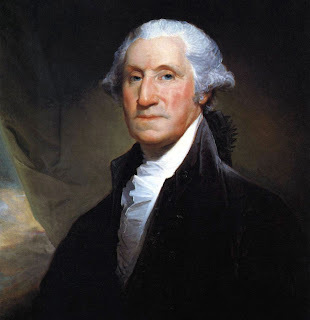 I’ve been reading a very interesting book called His Excellency George Washington, by Joseph Ellis. Despite the title, the book is not highly complimentary of George Washington. Actually, the book may simply present Washington in a realistic light, which for us Americans can seem offensive only because Washington is so mythologized here. Anyway, one thing Ellis talks about at length is the fact that especially as the American Revolution came to an end, George Washington became acutely aware of his own legacy. He started writing letters with the perspective that these letters would be seen and read generations into the future. Every group he associated with, every friend he made, had to be viewed in the context of how he wanted to be seen by future generations. He had an inkling that he would be viewed more as a legend than as a man because things were already headed that way during his lifetime, but he wanted to make sure his legacy was pristine. When we talk about social media, how much does our legacy enter into our mindset? While I am not necessarily worried about how future generations view me, I do like to put my best foot forward. When people who don’t know me see my Facebook or Twitter interactions, I hope they are not repelled. I hope their first reaction is NOT, “Wow, what an idiot!” or “Geeze, how rude.” I hope that my first interaction with someone is one not based on that person feeling offended by something I said. In fact, I hope for and strive for first interactions that would be based around positive feelings. I’m not sure many people actually think about these things as they tweet and Facebook their ways through the days. There is so much pressure to respond first, to respond quickly, to be an “expert,” and to also evince a sense of charisma and friendliness. How can you even have time, in the constant onslaught of data and content, to ponder how people are receiving the messages you are throwing out? But I think we need to stop and consider this every once in awhile. That’s not to say that we should be paralyzed with fear every time we set out to say something. It’s also not to say that every tweet should take you twenty minutes as you ponder how people three years in the future may read it. However, it is worthwhile to pause every now and again and look at your online presence as a whole. How are people responding to you? How are they reacting to what you are saying and what you are doing? How would the people you interact with most describe you based on your social media presence? Sure, we are not under the same kind of pressure as George Washington (that may be a positive or a negative for you). But your reputation is still important. How people view you is still important, especially if you are using social media as part of your job. Have you stopped to consider what your online presence is saying about you? How would people interpret your tweets and updates if they only knew you through that medium?